When I were a lass – growing up alongside the North Yorkshire moors – my daily life was infused with the magical stories which my Dad told me about sprites and fairies. No trip into Ilkley, tramp up Hebers Ghyll, or mere visit to the shops was left uninhabited by these mythical beings. I was reliably told, and believed absolutely, that they were hiding behind walls and trees and under bridges. I built homes for these friendly folk, and they sometimes visited in the night to collect the food that I left for them, but I never, ever saw them. Thirty years later, a quick flick through the programme for this year’s Crystal Palace Overground Festival brought these happy memories rushing back. 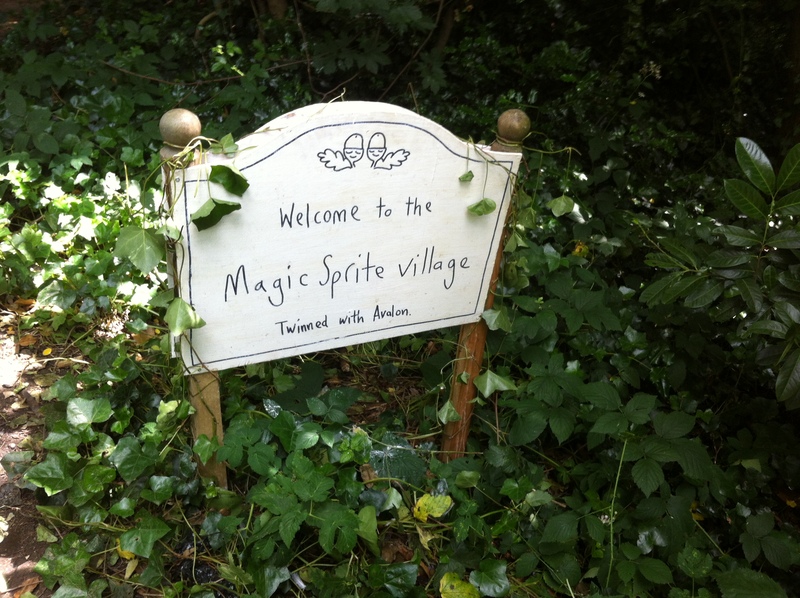 The words ‘Magical Sprite Village’ alerted me to the possibility of sharing the spirit of my childhood with my own sons. I primed my four year old. Rumour had it, I told him, that a community of sprites had set up a secret street of buildings in our local park, carefully hidden behind trees in a quiet area away from the playground, the small farm and our treasured dinosaurs. If we asked nicely in our favourite bakery, they would give us a map and a magical key, whose powers could only be unleashed once we tracked down the hidden houses. Nothing says good time to a four year old boy more than secrets, keys and maps. Along with our map we received a cast list of the village’s sprite inhabitants, each of them allied with a likeminded individual from among the shops, eateries and craftspeople of Crystal Palace. We set off to find the village on a grey morning which promised thunderstorms and torrential rain. “Don’t worry, Mummy” said my son, “it’s fun to go somewhere secret in the rain; the rain might make it even better.” With my cagoule to hand, I couldn’t help but agree. Luckily some friends of ours were similarly minded, and together Sam and his little buddies kept their eyes peeled for their clues – little pictures of acorns to point us in the right direction, leading through some trees, over a small hill and across a folly. 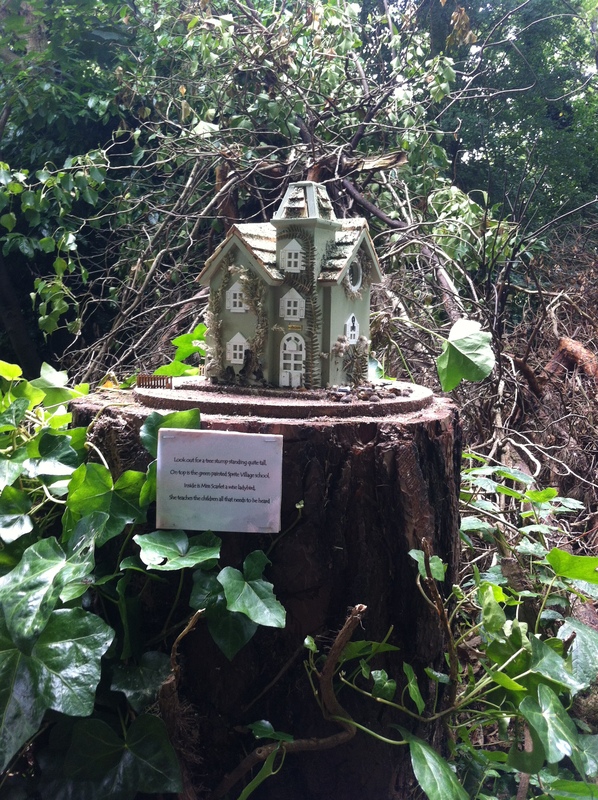 The Village – designed and created by Fantasy High Street – was everything I hoped for. 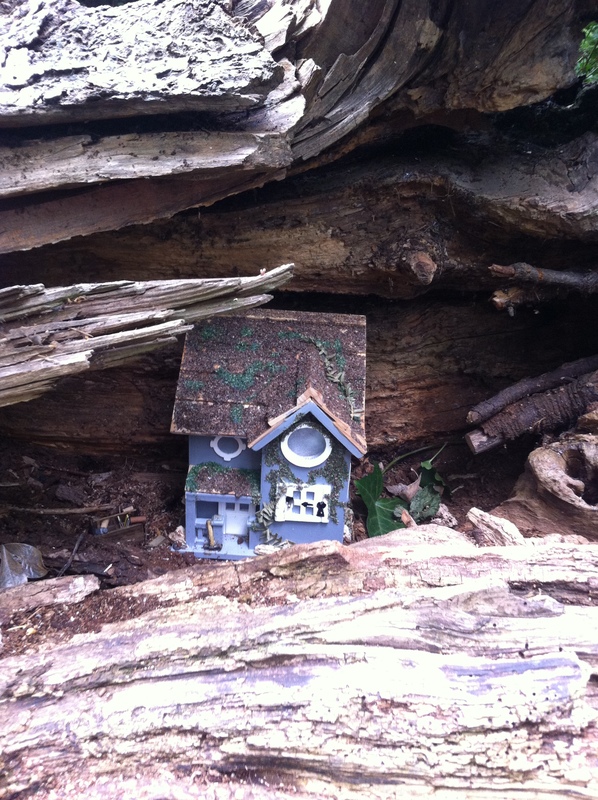 Painstakingly detailed and lovingly built miniature houses peeked from amongst trees, perched on branches and were even enfolded by fallen logs. 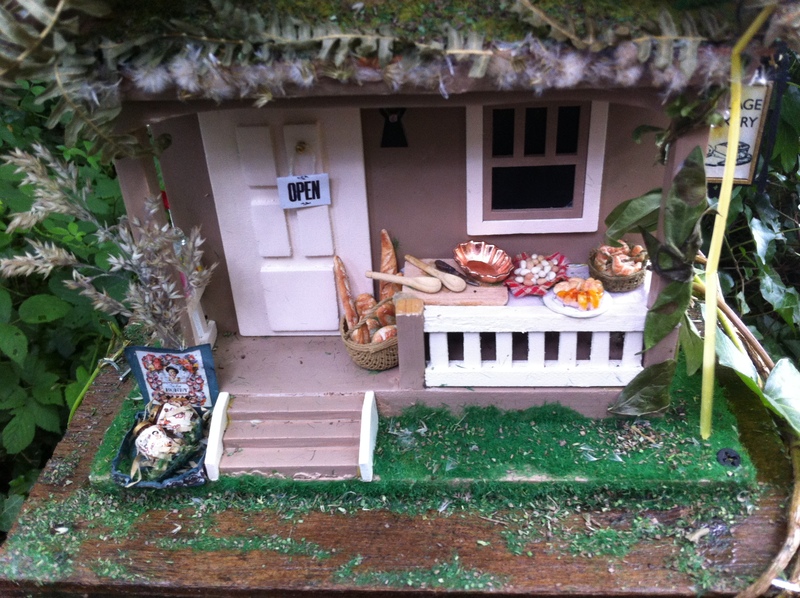 Amongst them were a local school, an alchemist’s residence, a florist, a tailor’s and a farmer’s, each decked out with exquisite little accessories and signage. By the power of our key we were able to watch the sprites at work within. 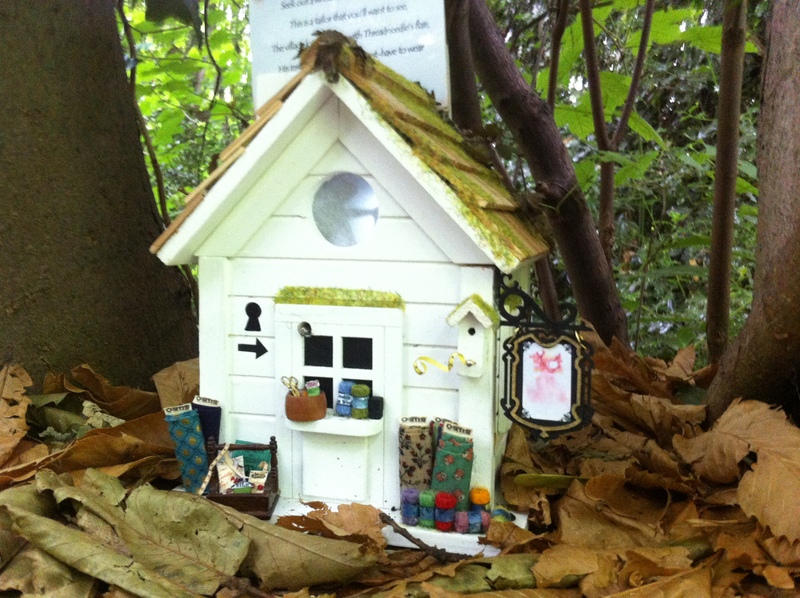 Our children and their big imaginations were completely captivated by it, rushing between the trees to find each tucked-away building and then using their key to bring the resident sprite to life. Behind this delightful idyll there was also an important message, conveyed in Fantasy High Street’s manifesto to ‘celebrat(e) the local high street as an essential community hub.’ Aside from my absolute delight in witnessing the joy which my son took from this art, the experience also strongly reiterated to me how fortunate I am to live in a part of London where the high street still thrives. Up in Crystal Palace independent businesses far outnumber chains and I am happy to be recognised in the bookshop, the cheese shop, the cafes and in the library which has – so far – held strong in its struggle against funding cuts. And as with the magic of a sprite-inhabited childhood, this sort of personal, eclectic and artistic high street is something which I hope that my children grow up with. So enamoured of this place was my son that the sprites’ request to return their key at the end of our visit met with hot tears of sorrow. This was no tantrum, he was genuinely bereft; he didn’t want to relinquish the magic. And thus began one of those tumbles into gentle lies and rash promises that only the parents of very small children can succumb to, as I found myself improvising a telephone call from my son’s favourite sprite – Ambrosia Lazenbee – who professed to be so impressed with how nicely we had behaved in his village that he would personally ensure that another key was delivered to us in time for the weekend. “But what does Lazenbee’s voice sound like, Mummy? Can I talk to him? How can he give us the key? Can he fly that far? What if we see him, will he be scared? If he gives us his key how will they lock up at night to keep the monsters out?” My tired, sleep-deprived brain was no match for this bright young inquisitive mind, but I improvised as best I could. And so magically another key was obtained (high fives to the ever-wonderful Bookseller Crow for having some left in stock), and we did visit again, finding it every bit as entrancing second time around and with Daddy in tow. 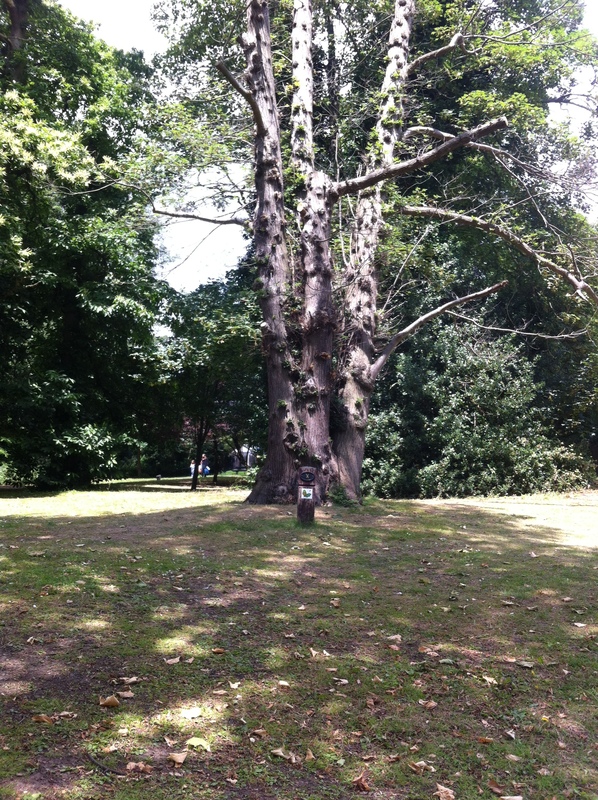 So now there is just one challenge remaining – how on earth to break it to my son that now that the festival is over the sprites have all packed up and gone away…..
Book scouting, Palace dwelling, tree hugging, wine quaffing mother of boys.